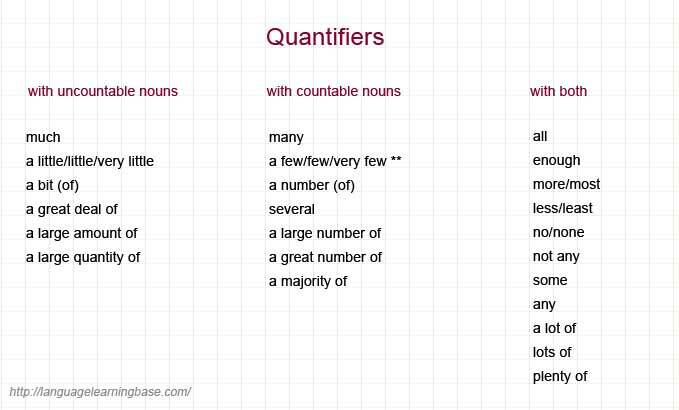 A quantifier is a word or phrase which is used before a noun to indicate the amount or quantity. There aren't many hotels in this town. Paula hasn't got much money. I haven't got my camera, so I can't take any photographs. Are there a lot of empty shops in your village? We met some interesting people at the party.